The singer is the new co-chair of the Health Care Voter campaign. I was misdiagnosed, so for 28 years, I lived not understanding what type of sickle cell disease I had, which changed my entire life and professional career. I had symptoms that impacted my day-to-day activities; things like severe joint pain, shortness of breath, fatigue, you name it. My symptoms popped up whether I was performing on stage or just trying to take care of everyday things like going to the store or taking my children to school. Sickle cell disease is a genetic blood disorder where some red blood cells are shaped like a half moon and cause severe pain when grouped together. This can lead to complications such as infections, delayed growth and episodes of sharp pain, including strokes, pregnancy challenges and death. If I had to describe it, I would compare the pain to a sharp knife, constantly, relentlessly, stabbing you in your joints. The month of September marks Sickle Cell Awareness month. As one of the over 130 million Americans across the country living with a pre-existing condition, I know firsthand the challenges families experience when it comes to accessing quality, affordable health care. It’s why I am proud to join the Health Care Voter campaign as a co-chair to share my story and help mobilize voters to the polls on November 6th. This November we must protect Obamacare, and hold our elected officials accountable to stand with working families to defend our access to health care. This issue of health care is personal for me and so many Americans who have had to overcome challenging obstacles. When you are lying in a hospital bed fighting for your life, fame doesn’t matter, nor can it buy you wellness. Sickle Cell doesn’t care if I have a show that night. When I am sick, the only thing that matters is that I get the best care. I am blessed. I was able to afford my care and millions more were able to through Obamacare. Without it, I don’t know where I would be. Through my struggle, I realized that families needed an advocate to stand up for them and that is why I chose to speak out and get involved. Sickle cell disease primarily impacts members of the Black and Hispanic communities and there is currently no cure and it doesn’t get better over time. Slowly, more serious health issues from sickle cell disease can develop relating to the spleen, brain, heart, and hip problems. To put this all into context, when I was diagnosed, I was told I wouldn’t live past 30 years old and that I would never be able to have any children. Hospital visits seemed like they would never end. Sometimes for weeks or months at a time, I couldn’t walk or go on tour. Today, I’m happy to share that I am alive and well with a 17-year-old daughter and 3- year-old son who I fight for every single day. My story is a testament to the millions of Americans who silently suffer from chronic illnesses and fight through their daily routines so that they can make ends meet and take care of their families. 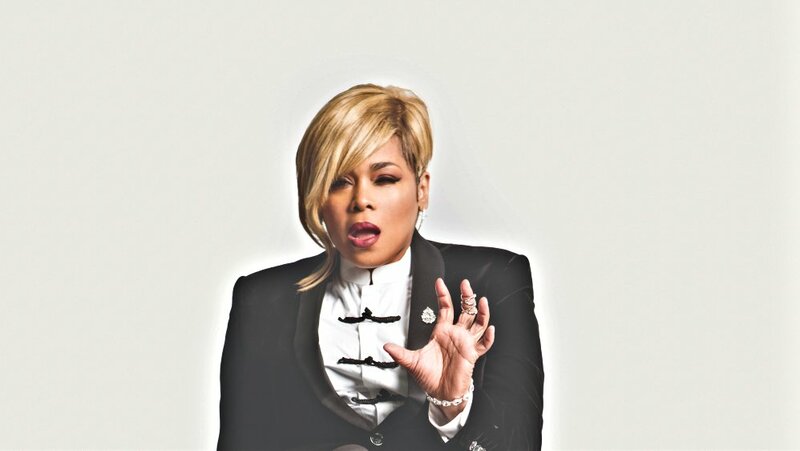 Best known as a member of the legendary group TLC, Tionne (T-Boz) Watkins is a four time Grammy Award winning artist who has bravely battled sick cell disease for the last 48 years.